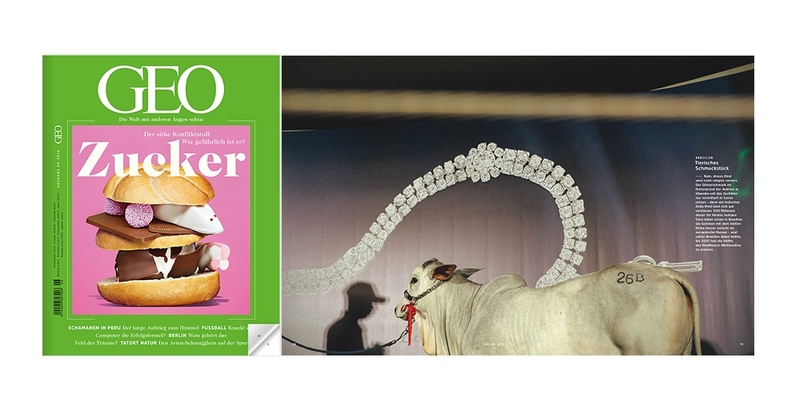 Happy to have a Holy Cow image at GEO June 2016 Kosmos double page section ! Holy Cow is a project about the Brazilian cattle farmers who decide the quality of meat we eat in the world. These powerful and closed male environment are part of the Brazilian Conservative Rural branch (bancada ruralista) whose business plan is to double meat production from 22% to 40% until 2023.